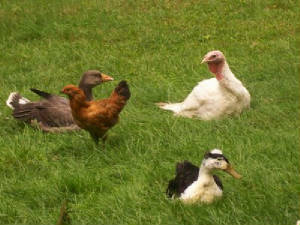 Can you name the 4 kinds of poultry in this picture? The answer if you don't know is at the bottom of this page. On this page I'll include links to other poultry sites. If you notice any broken links, let me know.